Prince Harry and Meghan Markle have not invited Theresa May or Jeremy Corbyn to their wedding.The decision not to have an "official list" of political leaders in attendance also means that US President Donald Trump will not be invited.The decision was made based on the church's size and the fact Harry is only fifth in line to the throne.It has also been confirmed that Barack and Michelle Obama, who are friends of Harry, have not been invited. Amelia Thompson, from Dronfield Woodhouse, near Sheffield, was left traumatised after witnessing the bomb blow up after the Ariana Grande concert in May 2017. She also damaged her vocal chords from screaming in horror. Ashley Thompson was "speechless" when she found out about the invitation. 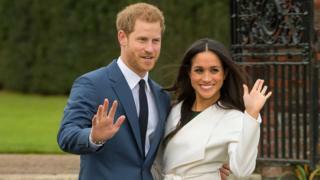 The decision to invite those with a close relationship to the couple but not "an official list of political leaders" was taken in consultation with the government, Kensington Palace said.Other members of the public who have received an invitation to the grounds include primary school teacher David Gregory from Blyth, Northumberland, who has started a recycling initiative and STEM club at his school. He will attend the wedding in the suit he wore at his own marriage ceremony last May, as the next day marks his and his wife Hannah's first anniversary. Reuben Litherland, 14, will also be at the wedding in recognition of his work for the deaf community.Reuben, who campaigns for deaf-friendly screenings at cinemas, said: "I opened the letter and I couldn't believe it... we danced around." you provide it and location, unless you state otherwise. Your contact details will never be published. take any unnecessary risks or infringe any laws. Please ensure you have read the terms and conditions.